DISM can now be downloaded from here. Deployment has a new tool in Windows 7: DISM (Deployment Image Servicing and Management). 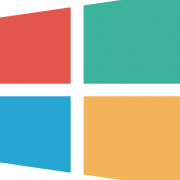 DISM is a command line tool which can be used to service a Windows® image or to prepare a Windows Preinstallation Environment (Windows PE) image. It replaces Package Manager (pkgmgr.exe), PEimg, and Intlcfg that were included in Windows Vista®. Will only work on XP and Vista. v1.0.4 fixes quite a few critical problems. v1.0.6 now links to a website. Please - Tutorial for Windows XP ? Did you package both 32bit & 64bit versions of DISM.exe, Legolash2o? Remember, on X64 based Windows OSes (like Win7 & higher), there are TWO versions of DISM.exe; a 32bit version stored in the \Windows\SysWOW64\ folder and a 64bit version stored in the \Windows\System32\ folder.